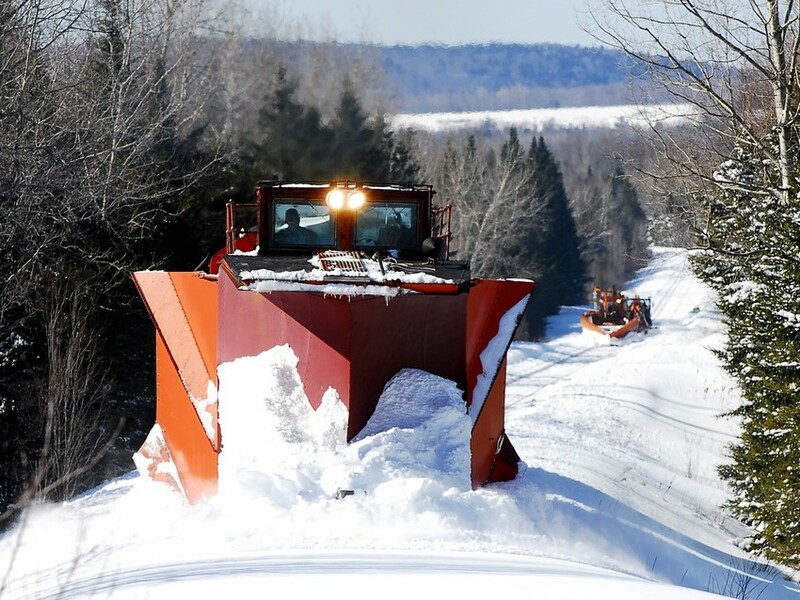 Heading east on the Houlton Branch - MMA Plow Extra 79 is trailed by a second plow and snow blower heading to Houlton to open the yard and several customers there. Photographed by Kevin Burkholder, February 25, 2009. Added to the photo archive by Kevin Burkholder, February 25, 2009.